It was a fascinating and exciting week last week. 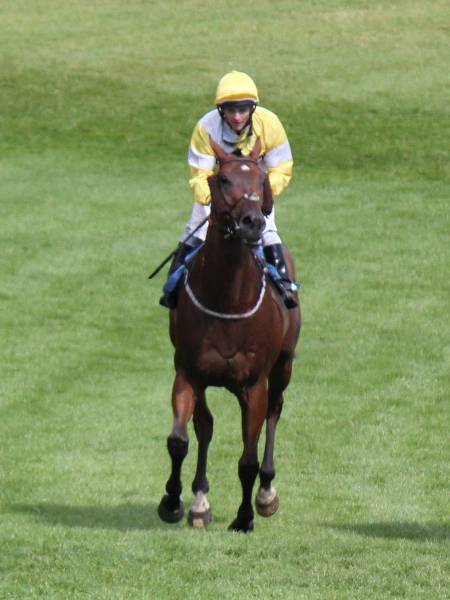 There was a couple of firsts for Ontoawinner. 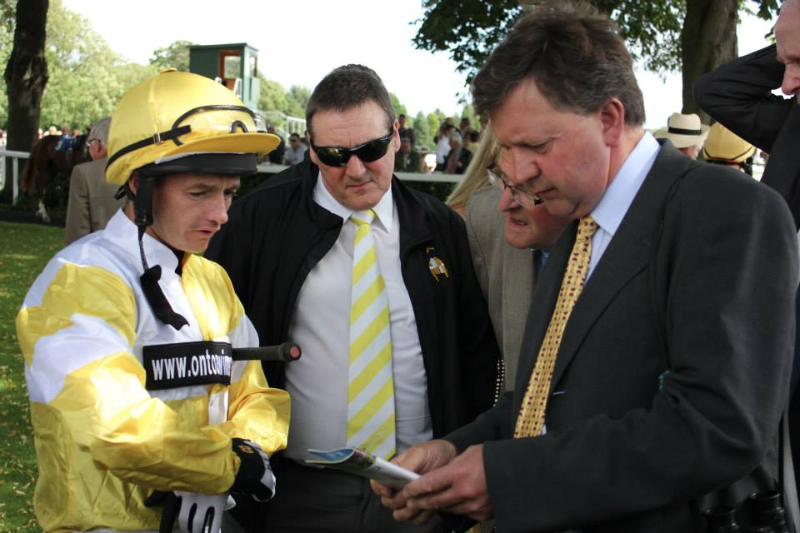 We have been involved in winners in England, Wales and Scotland and we had our first runner in France. 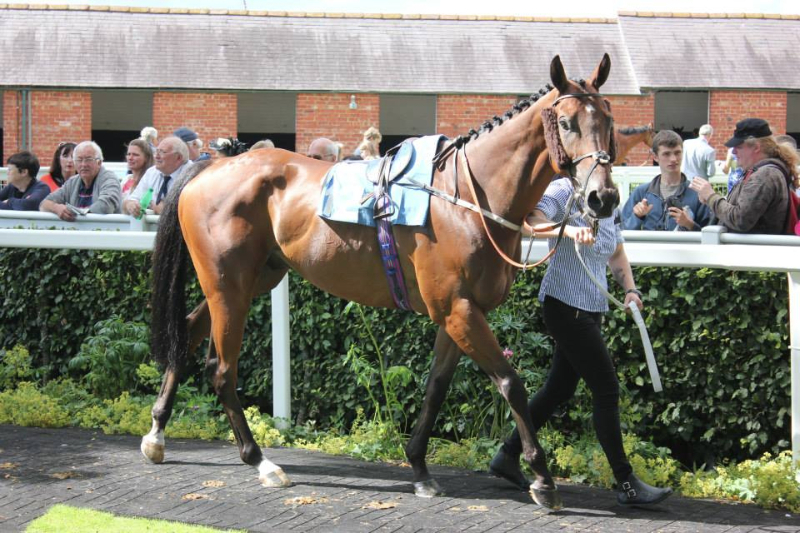 Karl has run many horses previously in France and although there is a substantial cost getting to France the prize money if you are successful makes the trip worthwhile. 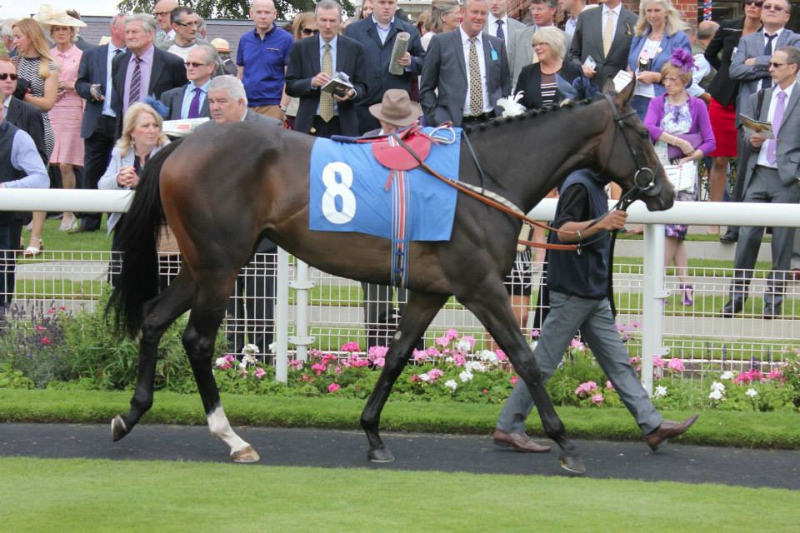 London Protocol who is French bred ran at Deauville on Monday in the six and a half furlong race and Ioritz Mendizabal rode. 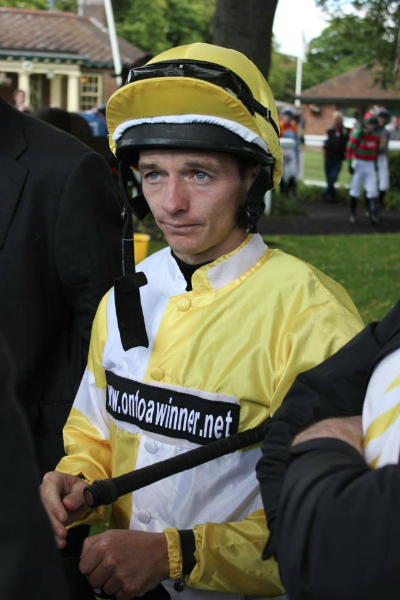 Ioritz probably isn’t as well-known as other French jockeys but he has ridden previously at the Shergar Cup and has ridden numerous winners in France and has the occasional ride in Britain too. From the off Ioritz got London Protocol out in front of the six runner field and they set the early pace. London Protocol, wearing check pieces, was enjoying himself at the head of affairs setting a steady tempo. 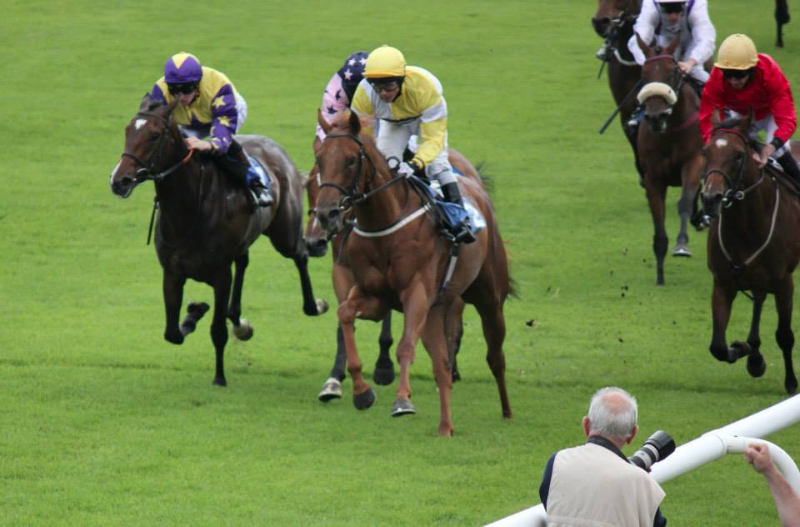 The field were well bunched together and as the field made their way towards two furlongs from the finish Ioritz began to wind up the pace and several of London Protocols rivals started to come under pressure and their jockeys were working hard. There was one exception, the odds on favourite, ridden by Christophe Soumillion who was still travelling comfortably on the wide outside. Inside the final furlong LP and the odds on favourite had the race between them and the odds on jolly joined LP at the front of the race and both jockeys began to get serious on their horses as the winning post started to loom. Ioritz got more serious on LP who stuck his neck out and was fighting off the favourite who had no more to give and in the last fifty years LP began to stride away again and he won by a length. 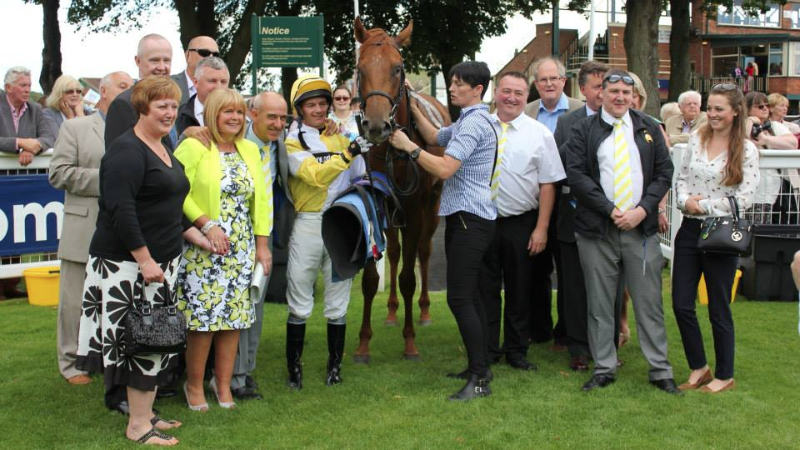 A great first win for LP and his owners. LP had shown he had ability but in his first two races he had his mind on other things and having been gelded can now solely concentrate on racing. With 17k euros to the winner plus a 9.5k euro owners premium bonus, it was a fruitful day. 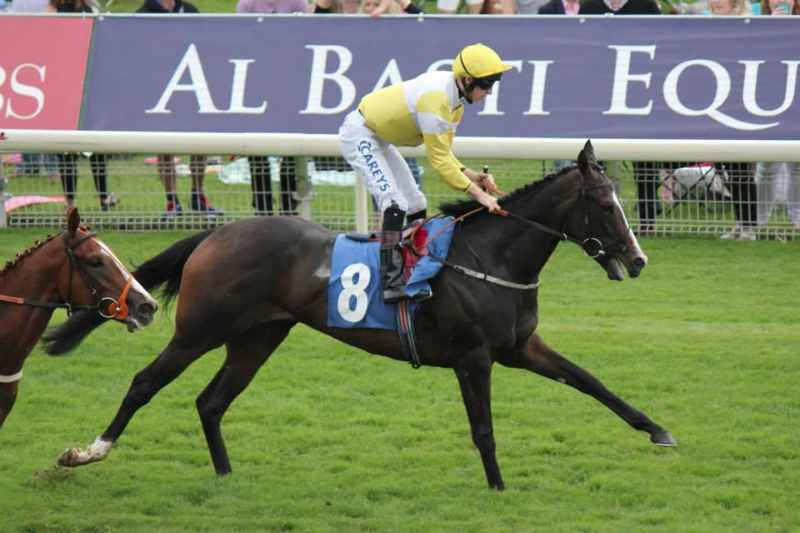 As a result of this win he was supplemented to run on Sunday in a valuable listed race also at Deauville. 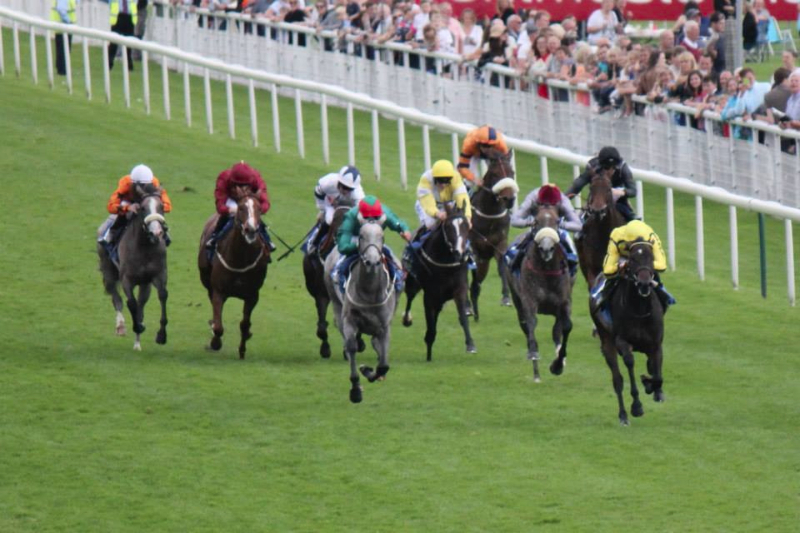 Fazza was next up on Wednesday when he went to Carlisle and contested the one mile one furlong handicap and Paul Mulrennan rode. Fazza wore cheek pieces for the first time in the hope these would spark some extra effort from him. From the stalls opening Paul settled Fazza from his wide draw in midfield and they were happy to track the early pace being set up front. Paul had Fazza settled nicely and racing enthusiasticly and it looked like they were going to fight out the finish as the field made the final turn into the home straight. 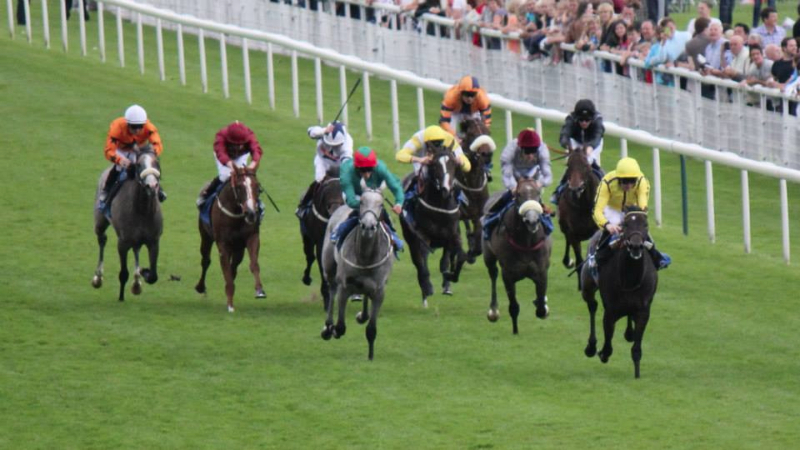 The field swept into the middle of the course and Fazza still tucked in just behind the leaders was traveling powerfully three furlongs from the finish. Paul pushed Fazza through a gap and just over a furlong out looked to have every chance of being in the first three places. Howe haver inside the final furlong Fazza couldn’t continue his run and stayed on at the one pace and finished in sixth place. Paul unsaddling thought he would win two furlongs out but the horse ran out of petrol up the stiff hill and suggested dropping the horse back to a mile. 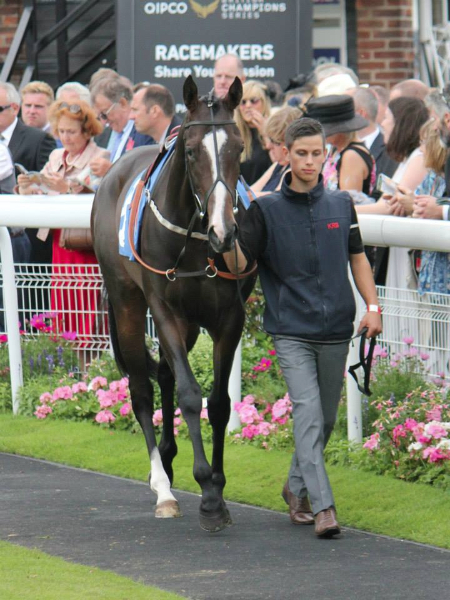 Thursday was our other first this week when for the first time we have had a filly represent us in a Group race and all eyes were on Quiet Reflection when she ran in the Group 2 six furlong Lowther Stakes at York and Joey Haynes took the ride. 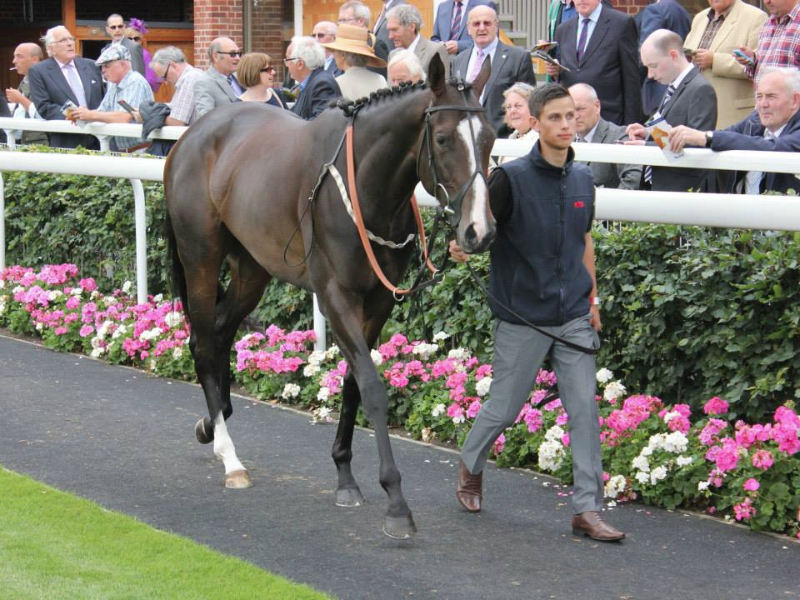 This was a marked step up in class after she had won a maiden at Hamilton and she was racing against experienced fillies, several of whom had ran at Royal Ascot and other big meetings. Howe haver Quiet Reflection had impressed in her homework and hopes were high that she would put up a bold show. From the stalls opening QR was a little keen and Joey tried to get her settled as the select field made a dash towards the turn that leads in the home straight. 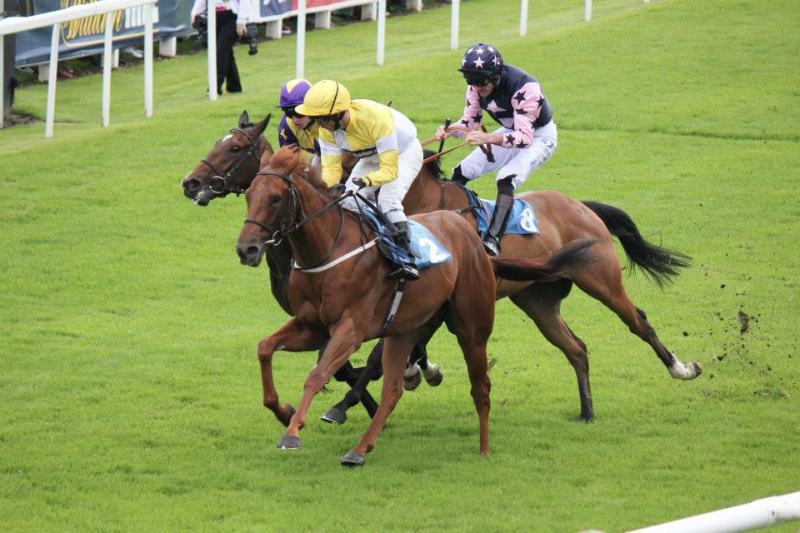 Runners either side of her began to edge across her and Joey had no option but to rein QR back as these two horses firmly shut the door on her and QR was squeezed for racing room and stumbled slightly in the process. This immediately put QR on the back foot with racing to do to get back her prominent position that had been taken away from her. Joey allowed QR to find her feet again as the field began to head down the home straight towards the finish. With the leader heading towards the centre part of the track Joey angled QR towards the inside and they soon made progress and as the roar from the crowd went up, as the runners hit the furlong from home marker, Joey pushing away at QR where now they almost joined a line of four runners that were disputing the lead. 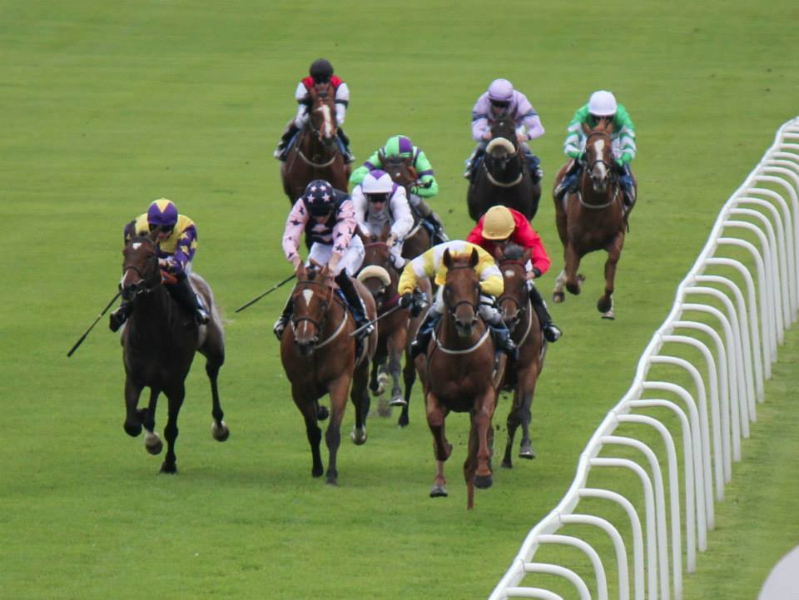 Inside the final furlong Joey and QR were hard at work and three horses at the head of the betting market went clear. QR kept going all the way towards the line and inside the last fifty yards she got a little tired and was passed and had to settle for fifth place. It was a fantastic effort from QR who on her second run was extremely professional in the build-up and was an unlucky fifth. 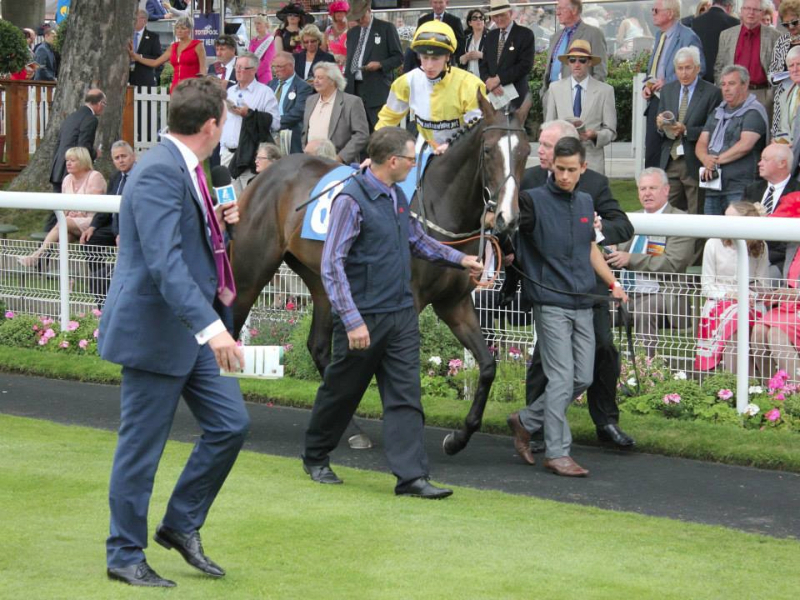 There are very exciting times to be had with QR in the upcoming months. 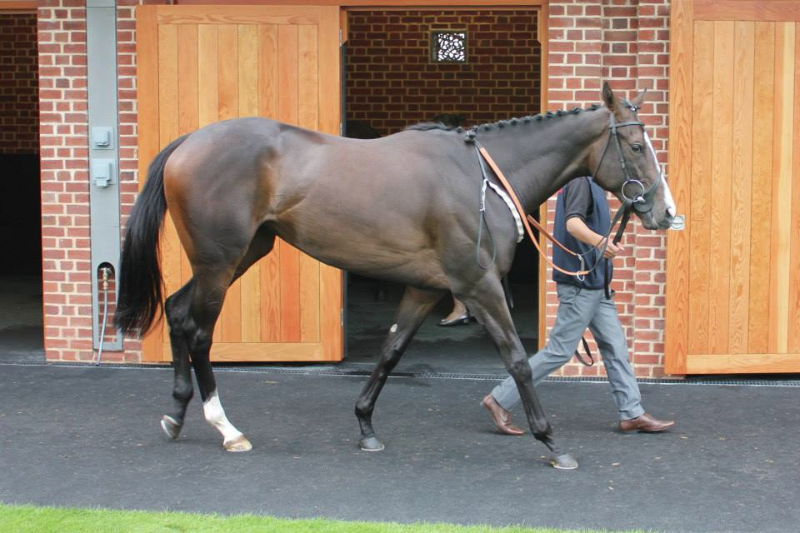 On Saturday Carbutt’s Ridge went to Sandown and ran in the very competitive seven furlong nursery and Ben Curtis rode. Carbutts had bottom weight, such was the competitive nature of the race, and he also had the inconveince of being drawn out widest of all in the eleven strong field. Supporting a pair of blinkers as the gates opened Ben got a good start and allowed Carbutt’s to stride forward to try and get a prominent position which is such an advantage at Sandown. Probably using a bit more energy than he really wanted he managed to get Carbutt’s Ridge forward on the outside of the field into around fourth place as the field took the sharp turn into the home straight. 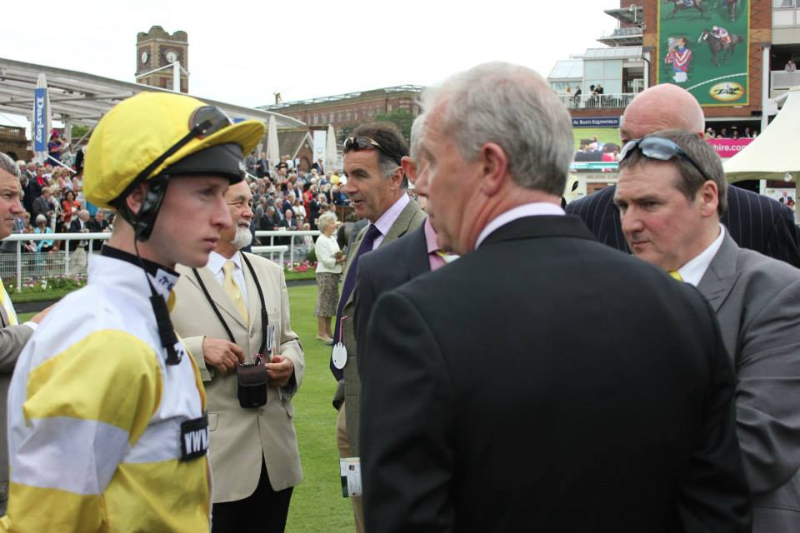 Carbutt‘s was stuck on the outside of the field seeing plenty of day light as Ben was unable to get any cover and as the field headed down the home straight the pace of the race quickened as the field hit the two furlong from home marker. It was here that CR just started to lose his place and was passed by a couple of horse and as Ben tried to get CR running on again they were squeezed by two horses very badly and Ben had to pull CR sharply back and all momentum was lost. Ben kept CR going all the way to the line but all chance had gone and they finished at the rear of the field. London Protocol started and then finished off the weeks runners when he went back to Deauville and ran in the richest Listed race in Europe over one mile. 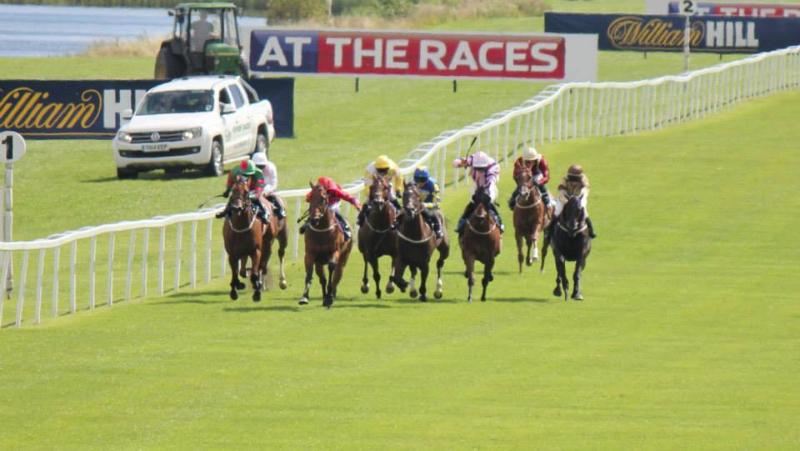 It was a step up in trip and to get into the race we had to supplement the entry fee but all connections thought this was a worthwhile chance to take with good prize money on offer with only six runners in the field it was hoped we could earn some more euros. Ioritz Mendizabal took the ride again. 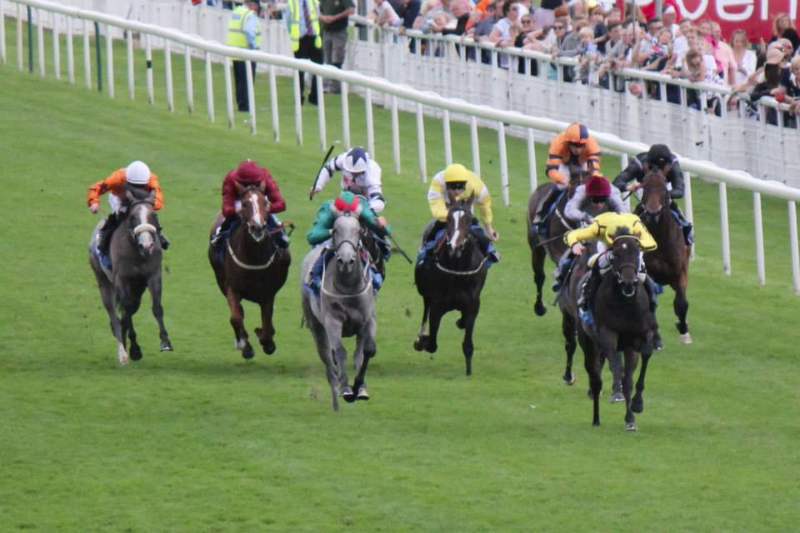 From the off Ioritz got LP out in front and set the pace howe haver they were soon joined by another English based runner and they jointly held the lead for the first couple of furlongs. LP was on the inside of the track whilst the other runner took a position down the centre of the track and as the field swept into the home straight LP dropped to second position. As the pace began to really quicken just over a furlong from home LP just started to drift back through the field as he went into unknown territory having never run over this far previously. 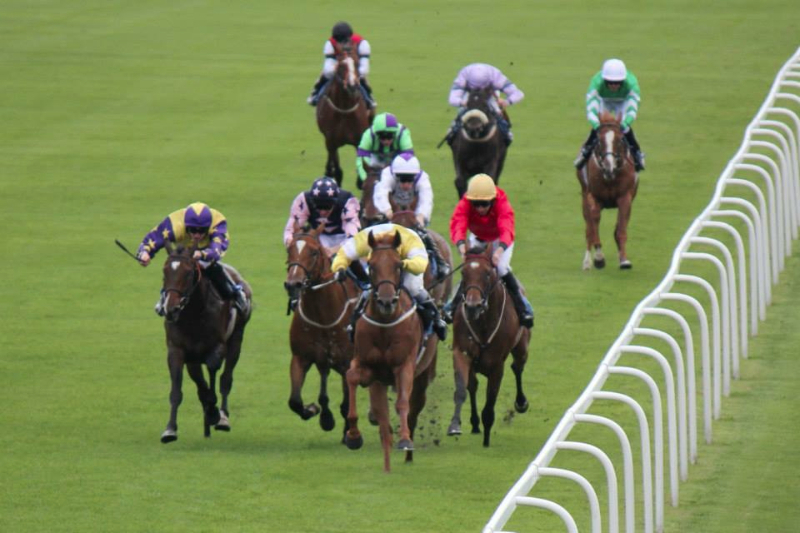 Inside the final furlong LP got very tired and was passed by his competitors and finished at the rear of the field finishing very tired. The step up to a mile on very soft ground prived a step too far at thius point in time. A fantastic fact finding mission with him came to a close and he is now on his way home. 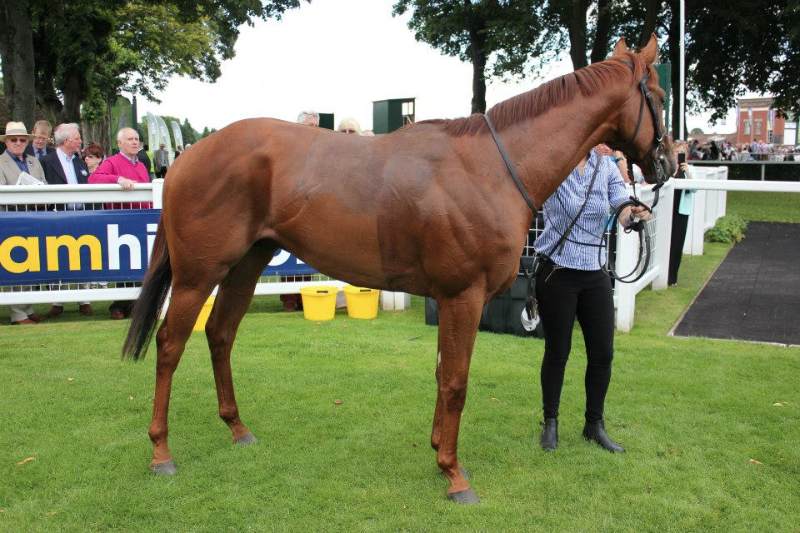 On Monday we saw Tabikat Elle run at Ayr in the seven furlong maiden and Joey Haynes took the ride. There was a very short price favourite in the race but it was hoped that Tabikat Elle could go well after performing with some promises on her debut. From the off Joey took a good hold of TKE as the pace being set wasn’t a very strong one and TKE was fighting for her head and refusing to settle properly. They raced in fourth place tracking the early leaders and as the field made the turn into the home straight they were still in a good position to attack if her early exertions hadn’t taken its toll on her. Down the straight Joey was just niggling away to get her competitive and as the field reached the two furlong from home marker Joey asked her to get closer and make an effort. Unfortunately TKE didn’t pick up and Joey was soon losing ground on the leaders and inside the final furlong she got a little tired and Joey allowed her to finish her race off without being hard on her. A disappointing effort on ground that the jockeys described as very tacky and TKE didn’t really appreciate this, she is a lot better than this that’s for sure. 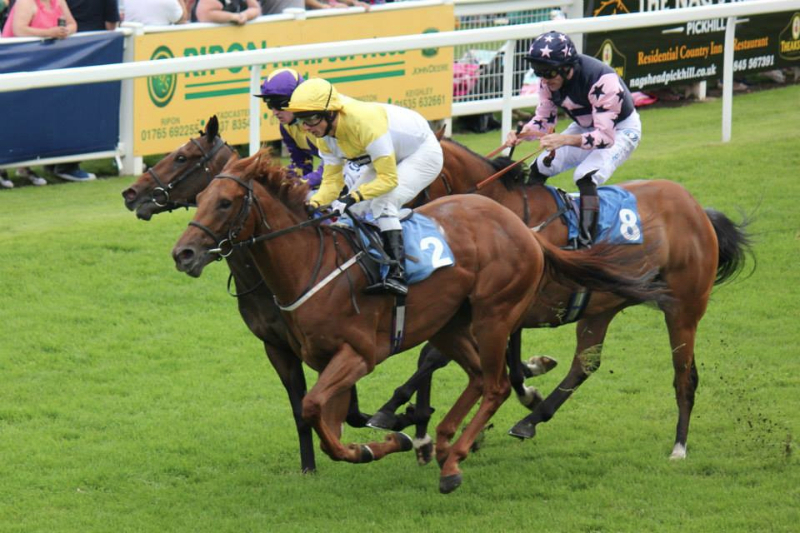 Next up on Monday was Isla Rose who was having her third race and she ran at Thirsk in seven furlong maiden and Duran Fentiman rode. 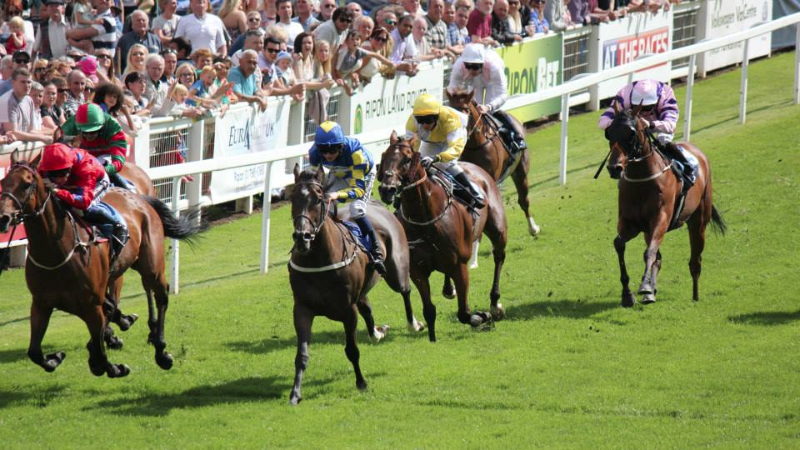 From her good draw close to the rail Duran got Isla Rose out well and they tucked themselves against the rail as the field made their way down the back straight and they were in the front six runners. Rounding the turn that takes the field into the home straight the field were well strung out and Isla Rose was still travelling well in behind the early leaders. Around two furlongs from the finish Duran edged Isla Rose off the rails to get a clearer passage and began to get to work on Isla Rose as the pace quickened. 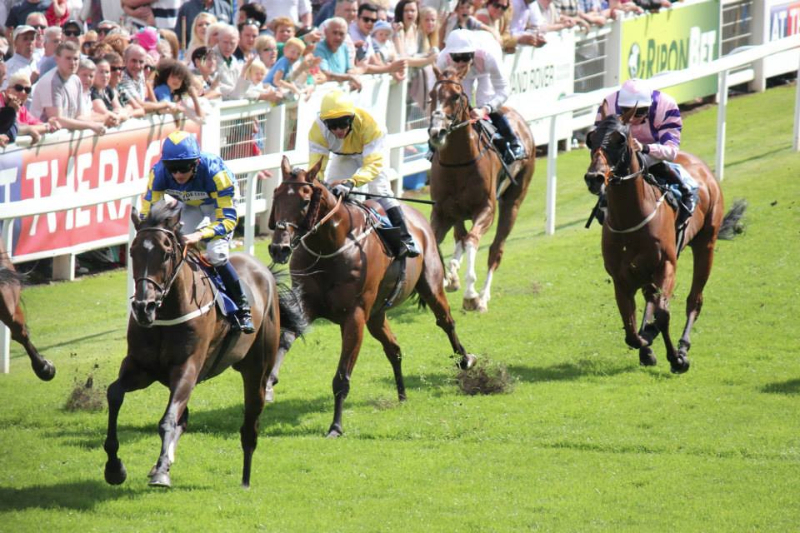 Duran gave the horse a couple of reminders and Isla Rose kept going all the way inside the final furlong and although she didn’t have a chance of winning she finished in sixth place beaten only four and a half lengths running all the way to the line. 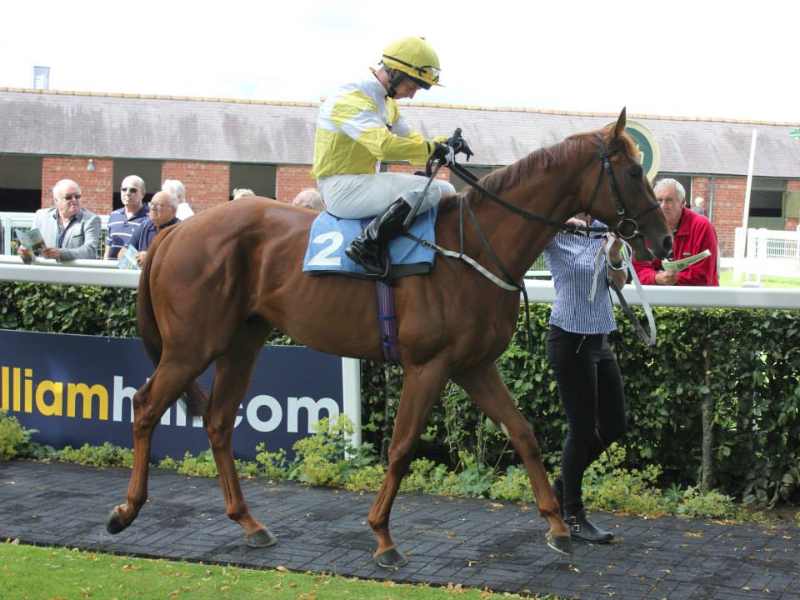 A much better effort from Isla Rose who has always shaped as she wants at least seven furlongs and possibly a little further in time and she has now been given a handicap mark of 60 and nursery races now beckon. 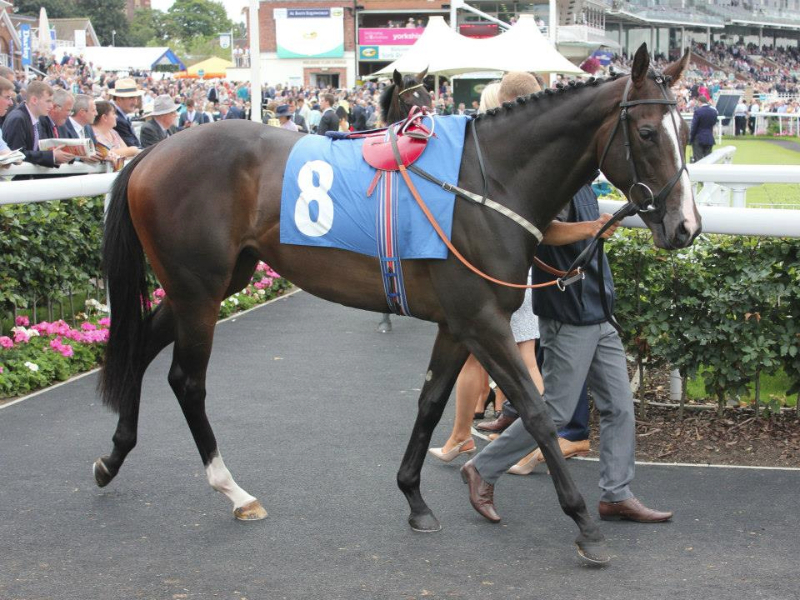 On Tuesday we saw Mystical Moment head to Carlisle and she ran in the six furlong handicap and Paul Mulrennan rode. MM had been showing some good pace over seven furlongs so we decided to try her over a shorter distance and she wore some cheek pieces to. The draw hadn’t been kind and she was drawn on the wide outside and from the stalls opening Paul was unable to get MM across and they had to settle towards the rear of the field behind the pace that was being set. Paul still had MM traveling nicely and when the field were inside the final furlong and a half there were plenty of horses in with a chance. Paul decided to get the best possible passage for her so he switched MM out to the wide outside. As he did this MM hung wider than expected and Paul had to switch his whip to try and get her straightened up. These manoeuvres took too much time and the leaders had kicked well clear and although MM kept going she could never get in a blow at the leaders and finished in midfield. 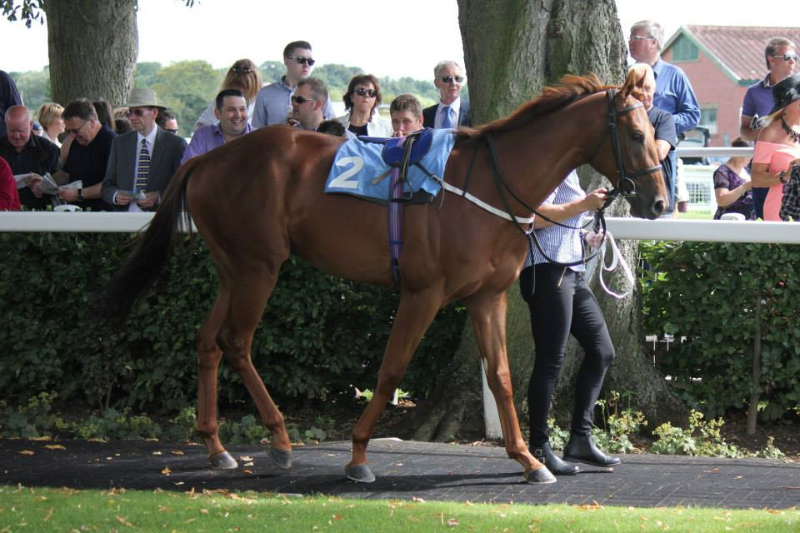 Also on Tuesday we saw Memphis Magic run at Nottingham in the one mile two furlong apprentice handicap and Hector Crouch took the ride. This was the horses first run on the flat since November 2013 but after some promising home work he was allowed to take his chance. From the off Memphis Magic was held up towards the rear of the field and the pace being set, as is the norm in these type of events, was a strong one and the field were well stretched out with MM in the last three runners. As the leaders began to slow MM started to make some progress through the field with Hector finding the best possible route through fading horses. As they hit the furlong from home marker Hector gave the horse a couple of reminders and they continued to close towards the leaders. 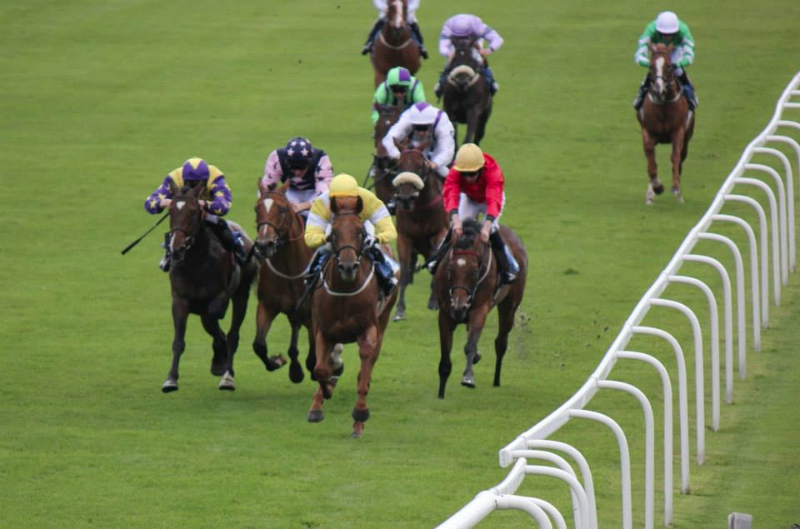 Inside the final hundred yards they couldn’t close anymore and they stayed on to finish in fifth position beaten only three and a half lengths. A good effort from the horses who was given a nice ride and it looks like he could go well again on the flat before possibly returning to hurdles later in the year. 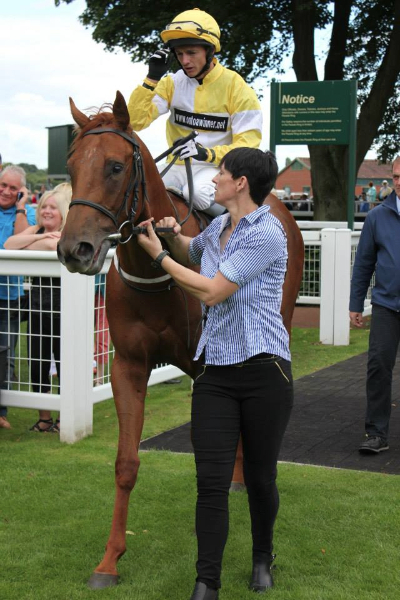 On Thursday we had Blue Maisey running at Beverley in the one mile and half a furlong amateur rider’s handicap and Rachel Taylor rode. 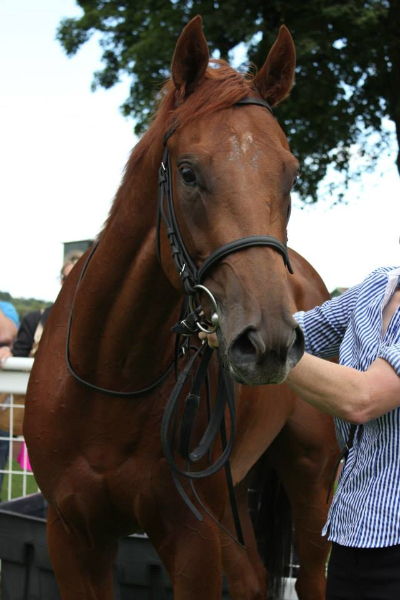 Rachel works Maisey every day but was the most inexperienced jockey in the race. From the off the pace was a frantic one being set with a few horses wanting the early lead and Blue Maisey was settled by Rachel towards the rear end of the field and they were quite content to sit off the pace. Down the far side the field were strung out with a good fifteen lengths between first and last places and although at times Rachel had to push Maisey along they still traveled well. Inside the final two furlongs the race was wide open and Rachel and Maisey had closed right up and just sat off the leaders and looked to have a chance to get into the prize money. Howe haver inside the final furlong their effort petered out and they stayed on at the one pace finishing in midfield. An improved effort and this run would have blown away the cobwebs after her throat infection and I am sure we will see some better efforts in her next few runs. 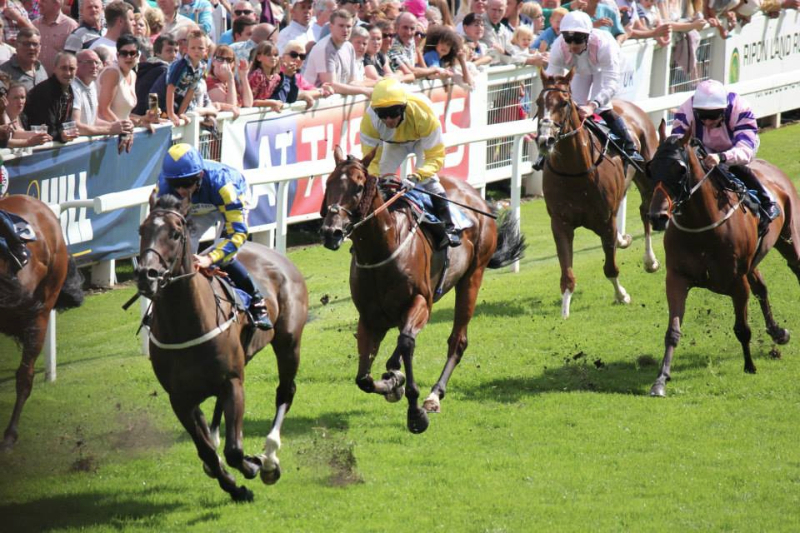 Saturday we had two runners at Ripon where relatives Flying Pursuit and Fast Shot both ran. 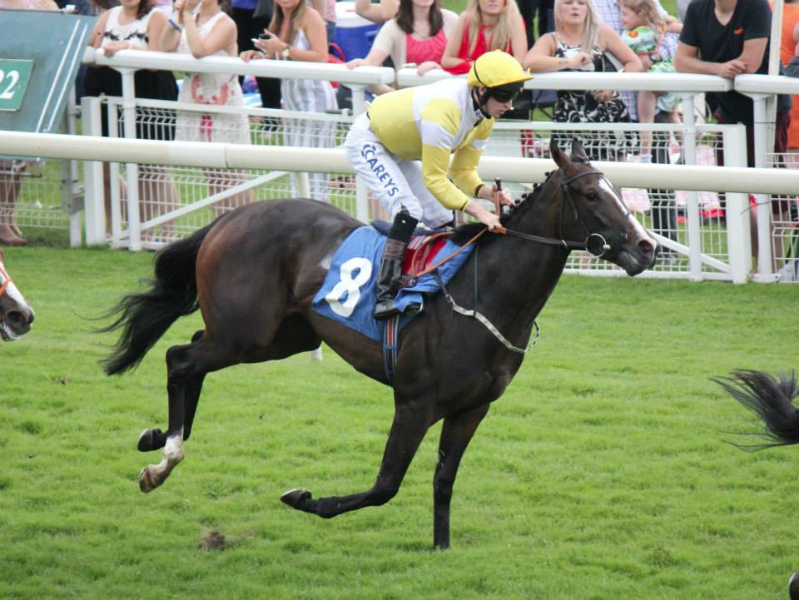 Flying Pursuit kicked the day off when he ran in the six furlong maiden and David Allan rode. 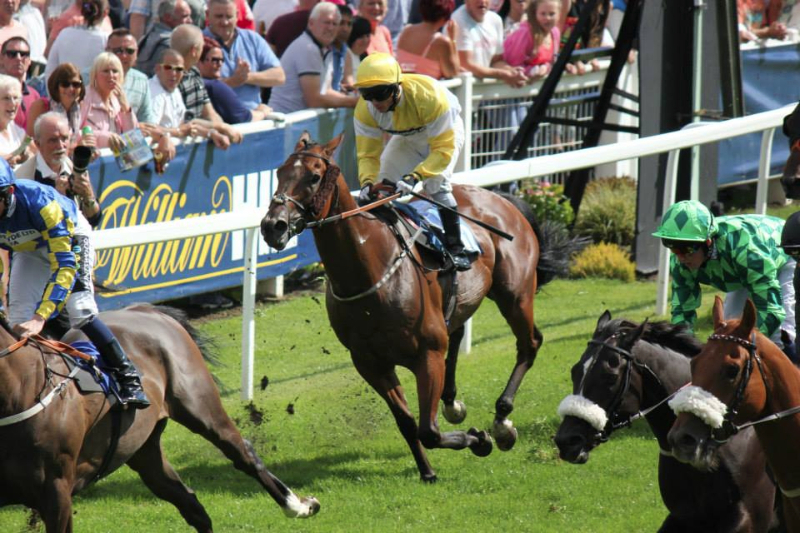 There had been some rain on Friday which had turned the ground official soft which suited both our runners. After five good runs hopes were high that FP could use his experience to good use. Having ran well previously at the track David kicked FP forward as the stalls opened and they took the early lead and David allowed FP to drift across to the stand side rail. FP really was enjoying himself out in front and at the two furlong from home marker with many of his rivals under pressure David sat still and FP with his ears pricked kept rolling along. Hitting the furlong from home marker David began to shake the reigns and FP was now coming under some pressure as two rivals closed in on him. Inside the final half a furlong David gave FP a crack with his whip and immediate the horse responded and kicked a couple of lengths clear and inside the final few yards David had the race in safe keeping and eased FP down at the finish to win by a length and three quarters. A great run and a good decision by all involved to run in this race rather than the nursery at Catterick the previous night. 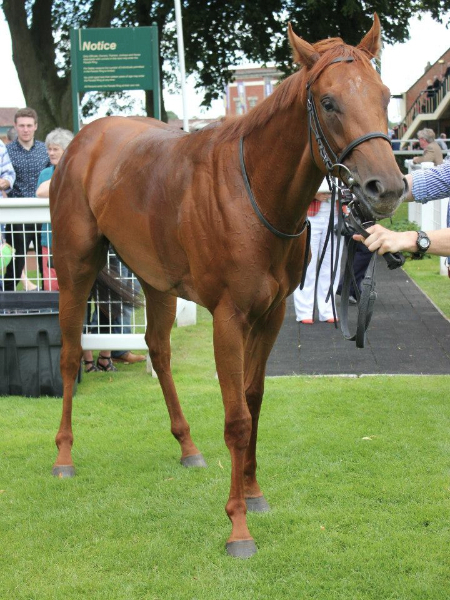 Well done to all his owners and a deserved first win for FP, who with his immature frame, will only get better in time. Uncle Fast Shot ran two races later and again David Allan rode in the Great St Wilfred Consolation race. Drawn in stall three as the gates opened he joined the group that headed towards the far side of the track. David has reported that the ground was not as soft as described and was more good/soft. It’s always very hard to judge which group is in front when they are split by the width of the course but both group appeared to be virtually level with each other and there was no definite advantage. 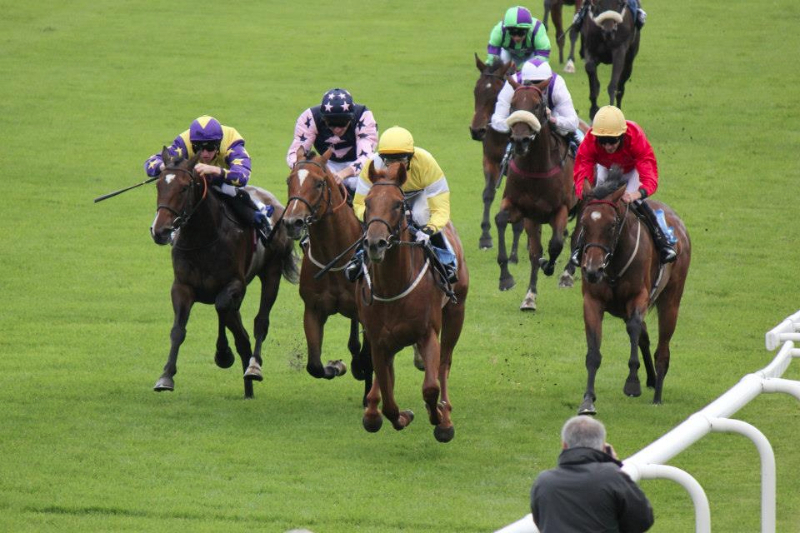 Fast Shot was buried in mid pack in the far side group and when the race began to unfold just over two furlongs from the finish David already had to work hard on Fast Shot. As the field went inside the final furlong both groups were neck and neck with each other and there was a thrilling finish with horse spread across the course and Fast Shot was now head down battling on and staying on at the finish. Crossing the line Fast Shot finished out of the prize money but stayed all the way to the line and this was a much better effort. Unsaddling David thought a set of blinkers might be worth a try next time.